RJ Davis Lawn Care, Inc. Comment: Need basic cut and trim. Look to do a small amount of landscaping in the back yard. The yard is very small and a new build in a up and coming subdivision off of 360. Comment: Small yard front, back, and small patch either side. A push mower is only practical method. There is a hill and ditch in the front I used to use trimmer for that. I have had back surgery and can no longer do it myself. Mechanicsville Lawn Care Services are rated 4.73 out of 5 based on 1,858 reviews of 23 pros. 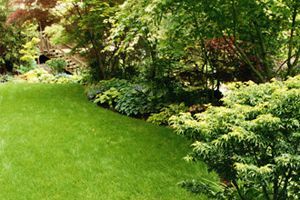 Not Looking for Lawn & Garden Care Contractors in Mechanicsville, VA?